SJ Wolfe Racing's exciting three-year-old Arrum Boy ended a quality 10-start campaign on a high with a strong victory in today's $60,000 Crown Towers Plate (Race 1-1200m) at Ascot. Sweetly ridden by stable jockey Shaun McGruddy, the Demerit youngster chimed in at precisely the right time and hit the line hard to score in convincing fashion. Arrum Boy has always shown above average ability but has gone from strength to strength this preparation, which kicked off with a third placing behind subsequent WA Guineas winner Perfect Jewel at a wet Belmont midweeker back on July 26. Two metropolitan wins and four more placings later, Arrum Boy has risen to be considered one of the better short-course horses in his division in WA, and has also taken his total earnings beyond $181,000. 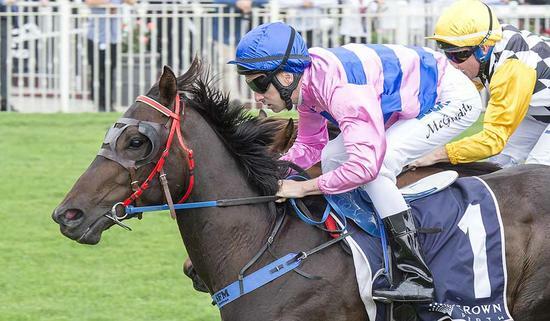 Steve Wolfe has indicated the gelding will now head to the paddock for a short break and is likely to return to racing towards the back end of summer.